Camilleri, P. (2018). Looking for Cracks in the Pavement: Maltese Teachers’ Temporal Adaptation Patterns Toward Tablet PC Use in Formal Educational Settings. 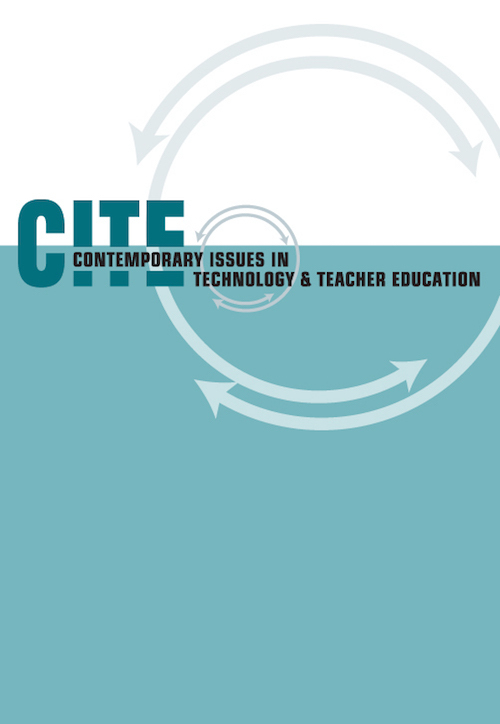 Contemporary Issues in Technology and Teacher Education, 18 (2), 467-490. Waynesville, NC USA: Society for Information Technology & Teacher Education. Retrieved April 26, 2019 from https://www.learntechlib.org/primary/p/173824/. Bandura, A. (2002). Social foundations of thought and action. In D. Marks (Ed. ), The health psychology reader. 6 (pp. 94-106). London, UK: Sage Publications. Bansler, J.P., & Havn, E. (2006). Sensemaking in technology-use mediation: Adapting groupware technology in organizations. Computer Supported Cooperative Work, 15, 5591. Bartlett, F.C., & Burt, C. (1933). Remembering: A study in experimental and social psychology. British Journal of Educational Psychology, 187-192. Beaudry, A., & Pinsonneault, A. (2005). Understanding user responses to information technology: A coping model of user adaptation. MIS Quarterly, 29(3), 493-524. Berger, P.L, & Luckmann, T. (1967). The social construction of reality. A treatise on the sociology of knowledge. London, UK: Penguin Books. Camilleri, J. (1994). Information technology in education. Business plan. Malta: Office of the National strategy for Information Technology, University of Malta. Camilleri, P. (2012). Teachers' interpretations of the internet. An applied case study for the evaluation of technological frames of reference. Informatics in Education, 11(2), 151167. Castells, M. (2000). The rise of the network society (2nd ed.). London, UK: Blackwell Publishing. Chang, C.L. (2008, August). Power operation in ISD: Technological frames perspectives. Proceedings of the 14th Americas Conference on Information Systems, Paper 400. Curmi, L. (2015). Year 4 students’ and teachers’ perceptions on tablet use for learning. A comparative study. Unpublished Bachelor of Education Dissertation. Faculty of Education, University of Malta. Davidson, E. (2000). Analyzing genre of organizational communication in clinical information systems. Information Technology and People. 13, 196-209. Davidson, E. (2002). Technology frames and framing: A socio-cognitive investigation of requirements determination. MIS Quarterly, 26(4), 329-358. DeSanctis, G., & Poole, M. (1994). Capturing the complexity in advanced technology use: Adaptive structuration theory. Organization Science, 5(2), 121-147. Even, R., & Tirosh, D. (2002). Teacher knowledge and understanding of students’ mathematical learning. In L.D. English (Ed. ), Handbook of international research in mathematics education (pp. 219–240). Mahwah, NJ: Lawrence Erlbaum. Fiol, C. (1994). Consensus, diversity, and learning in organizations. Organization Science, 5(3), 403-420. Folkman, S. (1992). Making the case for coping. In B.N. Carpenter (Ed. ), Personal coping: Theory, research, and application (pp. 31-46). Westport, CT: Praeger. Forster, E.M. (2015). The machine stops. Sheba Blake Publishing. In D.R. Barnes& R.F. Egford (Eds. ), Twentieth century short stories. London, UK: Thomas Nelson. Gal, U., & Berente, N. (2008). A social representations perspective on information systems implementation: Rethinking the concept of “frames.” Information Technology& People, 21(2), 133-154. Giddens, A. (2004). The constitution of society. Oxford, UK: Polity Press. Gioia, D.A., & Chittipeddi, K. (1991). Sensemaking and sensegiving in strategic change initiation. Strategic Management Journal, 12(6), 433-448. Gioia, D.A., & Mehra, A. (1996). Sensemaking in organizations. Academy of Management. The Academy of Management Review, 21(4), 1226. Gioia, D.A., & Thomas, J.B. (1996). Identity, image, and issue interpretation: Sensemaking during strategic change in academia. Administrative Science Quarterly, 41(3), 370-403. Griffith, T.L. (1999). Technology features as triggers for sensemaking. Academy Management Review, 24(3), 472-488. Harper, B., & Milman, N B. (2016). One-to-one technology in k–12 classrooms: A review of the literature from 2004 through 2014. Journal of Research on Technology in Education, 48(2), 129-142. Holstein, J.A., & Gubrium, J.F. (2005). Interpretive practice and social action. In N.K. Denzin & Y.L. Lincoln (Eds), The SAGE handbook of qualitative research (3rd ed. ; pp. 483505). Klieger, A., Ben-Hur,Y., & Bar-Yossef, N. (2010). Integrating laptop computers into classrooms: Attitudes, needs and professional development of science teachers. A case study. Journal of Science Education and Technology, 19(2), 187-198. Laurillard, D. (2002). Rethinking university teaching: A conversational framework for effective use of learning technologies (2nd ed.). London, UK: Routledge Falmer. Laurillard, D., Oliver, M., Wasson, B., & Hoppe, U. (2009). Implementing technologyenhanced learning. In N. Balcheff, S. Ludvigsen, T. De Jong, A. Lzonder, & S. Barnes (Eds. ), Technology-enhanced learning. Principles and products. New York, NY Springer-Verlag. Lauterbach, J., & Mueller, B. (2014). Adopt, adapt, enact or use? In B. Doolin, E. Lamprou, N. Mitev, & L. McLeod (Eds. ), Information systems and global assemblages. (Re) Configuring actors, artefacts, organizations. Proceedings of the IFIP WG 8.2 Working Conference, IS&O 2014 (pp. 8-29). Berlin, GE: Springer. Leonard-Barton, D. (1988). Implementation as mutual adaptation of technology and organization. Research Policy, 17(5), 1-17. Malta Council of Science and Technology. (1992). Vision 2000: Developing Malta as a regional hub through communications technology. Valletta, Malta: Author. Mengesha, N.T. (2008, August). The role of technological frames of stakeholders in IS development: A case study from Ethiopia. Proceedings from IRIS 31 – The 31st Information Systems Research Seminar, Scandinavia, Åre, Sweden. Mishra, AN., & Agarwal, R. (2010). Technological frames, organizational capabilities, and IT use: An empirical procurement. Information Systems Research, 21(2), 249-270. Ministry of Information Technology and Investment. (2004). The national ICT strategy 2004-2006. Valletta, Malta: Author. Ministry of Information Technology and Investment. (2006). Requests for proposals. Development of an e-learning vision strategy and action plan for Malta. Valletta, Malta: Author. Ministry of Information Technology and Investment. (2008). The smart island. The national ICT strategy for Malta 2008-2010. Valletta, Malta: Author. Olesen, L. (2014). Technological frames: Use of context, temporality, and individual focus. SAGE Open, 4(1), 2158244014526720. Oppenheim, A.N. (2001). Questionnaire design, interviewing and attitude measurement. London, UK: Continuum. Orlikowski, W.J. (1992). The duality of technology: Rethinking the concept of technology in organizations. Organization Science, 3(3), 398-427. Orlikowski, W.J. (2000). Using technology and constituting structures: A practice lens for studying technology in organizations. Organization Science, 11(4), 404-428. Orlikowski, W.J., & Baroudi, J.J. (2002). Studying information technology in organizations: Research approaches and assumptions. In M.D. Myers (Ed. ), Qualitative Research in information systems: A reader (pp. 51-77). London, UK: SAGE Publications. Orlikowski, W.J., & Gash, D.C. (1994). Technological frames: Making sense of information technology in organizations. ACM Transactions on Information Systems, 12(2), 174–207. Orlikowski, W.J., & Scott, S.V. (2009). 10 Sociomateriality: Challenging the Separation of technology, work and organization. The Academy of Management Annals, 2 (1), 433-474. Orlikowski, W.J., Yates, J., Okamura, K., & Fujimoto, M. (1995). Shaping electronic communication: The metastructuring of technology in the context of use. Organization Science, 6(4), 423-444. Porac, J., Thomas, H., & Baden-Fuller, C. (1989). Competitive groups as cognitive communities: The case of Scottish knitwear manufacturers. Journal of Management Studies, 26(4), 397-416. Puri, S.K. (2006) Technological frames of stakeholders shaping the SDI implementation: A case study from India. Information Technology for Development, 12, 311–331. Rai, A., Lang, S.S., & Welker, R.B. (2002). Assessing the validity of IS success models: An empirical test and theoretical analysis. Information Systems Research, 13(1), 50-69. Rawlins, P., & Kehrwald, B. (2014). Integrating educational technologies into teacher education: A case study. Innovations in Education and Teaching International, 51(2), 207–217. Rice, R.E., & Rogers, E.M. (1980). Reinvention in the innovation process. Knowledge, 1(4), 499-514. Selwyn, N., & Facer, K. (2013). The need for a politics of education and technology. In N. Selwyn& K. Facer, (Eds. ), The politics of education and technology. Conflicts, controversies and connections. Basingstoke, UK: Palgrave Macmillan. Sewell, W.H. (1992). A theory of structure: Duality, agency, and transformation. AJS, 98(1), 1-29. Sharples, M. (2003). Disruptive devices: Mobile technology for conversational learning. International Journal of Continuing Engineering Education and Lifelong Learning, 12(5/6), 504-520. Tyre, M.J., & Orlikowski, W.J. (1994). Windows of opportunity: Temporal patterns of technological adaptation in organizations. Organization Science, 5(1), 98-118. Van de Ven, A.H. (1986). Central problems in management and innovation. Management Science, 32, 590-607. Walsh, J. (1995). Managerial and organizational cognition: Notes from a trip down memory lane. Organization Science, 6(3), 280-321. Weick, K.E. (1980). The social psychology of organizing. New York, NY: McGraw-Hill. Weick, K.E. (1990). Technology as an equivoque. Sensemaking in new technologies. San Francisco, CA: Josey Bass. Weick, K.E. (1995). Sensemaking in organizations. Thousand Oaks, CA: SAGE Publications, Inc.
Weick, K., Sutcliffe, K.M., & Obstfeld, D. (2005). Organizing and the process of sensemaking. Organizational Science, 16(4), 409-421. Wolcott, H. (1994). Transforming qualitative data: Description, analysis, and interpretation. Thousand Oaks, CA: Sage Publications. Zheng, B., Warschauer, G., Lin, M. & Chang, C. (2016). Learning in one-to-one laptop environments: A meta-analysis and research synthesis. Review of Educational Research, 86(4), 1052-1084.